The revised edition of this fab ulous fake book features 600 songs from the mid-'50s to today's hottest hits! 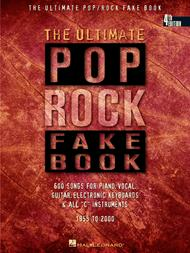 Includes melody lines, lyrics and chords. Wake Me Up Before You Go-Go Performed by WHAM! Walk This Way Performed by Aerosmith, Run- D.M.C. You Don't Have To Be A Star (To Be In My Show) Performed by Marilyn McCoo & Billy Davis Jr.
Don’t waste your time. A majority of the songs in this book are so obscure that I’ve never even heard of them. 's not forget about the professional who have supported you over the years. How about putting together a "New" book that doesn't repeat the majority of the songs from a previous book of yours. So far so good. Bought for beginner piano but also great for guitar. 31 of 64 people found this review helpful. arranging for solo guitar for me but will be used for years to come. A bargain for so many songs, a big book, spiral bound and quality paper.